My name is Rebecca and I am a bonafide curriculum junkie. My addiction is fed by the bundles and stacks of curriculum I receive from various companies throughout the years as a homeschool blogger. I can’t say no, in fact sometimes I pitch them to do reviews for nothing because the curriculum is so bright and shiny and new and fun looking. I get said curriculum in the mail and I pour over it for a few days and make a plan of how to implement it and then I get some more shiny new curriculum in the mail. I officially bit off more than I can chew you guys. There are too many kids, too many books, not enough me! The problem is, there is so much out there. There are so many good books and programs and approaches and methods, I love them all, I want them all but it isn’t practical and it is killing my day. Each day is a little more hectic than the one before, I have begun to face every day with a cloud over my head, dreading the massive to-do list in my planner. My kids are enjoying their subjects, they are enjoying their curriculum, but I am not enjoying that it all rests on me. I just can’t keep up! This week I put the lesson planner down for a bit and have focused on getting apples, bins to organize my kids clothes (laundry post coming right up), and reading my new book, Home Education by Charlotte Mason. It has been a total game changer. This book is reminding me of why I am doing this, my goal, my approach, my vision and giving me a TON of new ideas. I feel like checking out, letting the kids enjoy the last remnants of warm weather and golden sunshine while I sip coffee and renew what homeschooling is to me. I don’t know what it is about LA but it is a total insecurity of mine. Math, while being a foundational subject that I am always considerate of and making sure my kids are progressing, is a single subject that can be bound up into one book. Language Arts, on the other hand, has so many facets and rabbit trails and roadblocks that I constantly am assailed with the thought that my kids are behind, I’m not doing enough, I’m somehow failing them. Let’s consider for a moment, my 5 children and where they are at. My eldest, Caleb, is 10 years old and in grade 5 this year. He is light years ahead in his reading and comprehension, easily doing grade 6 or 7 work in nearly all his subjects, and his writing is probably at about a grade 5 level. Though there are gaps, I haven’t really taken the time to teach him some of the foundations of writing mechanics, like how to write a paragraph or an essay or a book report, so I feel that even though his spelling and grammar are at his level, I have missed the mark somehow with all my curriculum hopping. My next youngest child, Selah, is 9 years old (grade 4) and she is my main confidence wrecker. Just last night we were both crying trying to do her math lesson (which she LOVES her math) because I was getting impatient and frustrated because she didn’t know what minus meant or which number should go on top or what the difference was between 20 and 30. She thinks differently. She is left handed, right brained, and probably has some significant learning challenges. We did some preliminary testing with her and identified that her logic and reasoning is below a 5 year old level so she just doesn’t think things through or see them clearly. That is causing us to hit a wall with nearly every single subject and feeling like a failure is a constant, daily thing with my little girlie of mine. My youngest school age child, Aliyah, is 5 and working at a grade 1 level. She is ahead, like her brother Caleb, already reading and writing and honestly will be working at the same level as her brother who is three years older. She is my only child that I am not concerned about because there are no gaps, we are starting at the beginning and learning is so easy and enjoyable for her. That brings me to my very youngest, Janiah, 3 almost 4 years old and the most focused child I have ever met. She gets lost in her little world and begs BEGS to do school with us. While she is not technically school age, she has her own school bag and I buy her cheap little workbooks to practise in and feel like she is a part of the family, but she needs constant help and wants me to observe everything she is doing so it tends to be a huge interruption into our day. I write posts and record podcast episodes reminding you guys it isn’t about grade level or keeping up, that each child is at their own pace and range, but I am not immune to the pressure of our society nor the tangle of emotions I am faced with when I see my child struggling or missing what I feel I should have provided. I do so well… until I don’t. For the past 2 years, I have been talking to your relentlessly about Brave Writer. Other than my initial review, however, I have used the Writer’s Jungle to formulate my own lifestyle of writing. I basically used what I learned in the Writer’s Jungle and brought those methods and philosophies into my approach of LA. But I also used other things that I felt fit in with that style (and still do). This summer I received a bunch of grammar and writing and reading and LA programs (that are great by the way) but we are just drowning fitting it in and I came to this point of realizing that perhaps I need a bit of structure to follow to hep me put the “Brave Writer lifestyle” into practise, at least for a month. 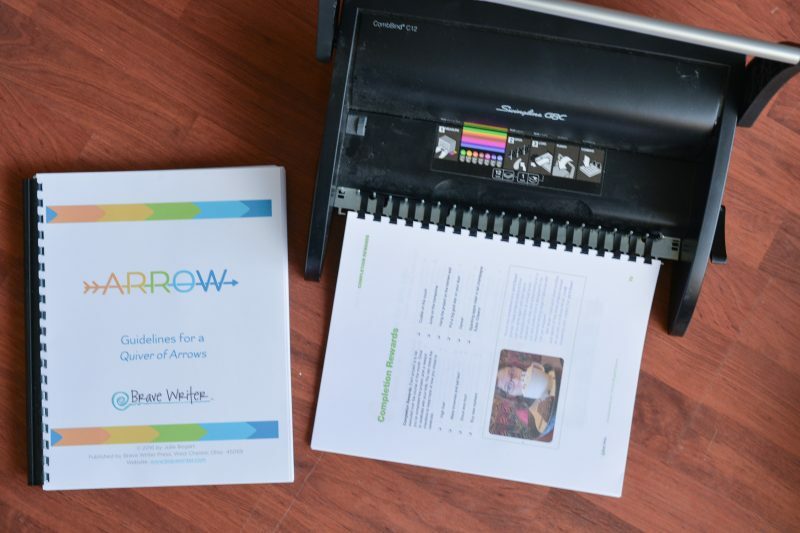 I have never done a complete Arrow or Quiver of Arrows, the writing mechanics portion of the Brave Writer curriculum. So while I understand the approach, without seeing it in action I have realized that I am often skipping elements that we should be including and wanted to go back to the drawing board. For the month of October we are going to do one writing project from Jot it Down for my younger kids (all of them actually, except Caleb) and one writing project from Partnership for Caleb. We are also going to read Sarah Plain and Tall and do the Quiver of Arrow that goes with it for the younger kids and read Carry on, Mr. Bowditch (which bonus, we were already reading for Sea and Sky) with Caleb and do the Arrow that goes along with that one. This means that we are going to be putting into practise the entire Brave Writer curriculum for one month. I am going to use this as a virtual reset button in our LA department. We will still continue to use Spelling You See, partly because I work closely with them, partly because my kids really do need the extra help with Spelling and I don’t think it will be overkill with what we are doing in the Arrow/Quiver but rather extra reinforcement. And partly because it aligns so perfectly with the BW approach to copywork and spelling, writing the passage as copywork throughout the week and doing dictation on Friday. So far my kids haven’t complained of it being too much (probably because I chose levels that are pretty easy for them and it only takes 10 minutes) so we’ll see how it goes. So there you have it, that is my new tactic. I don’t know what will happen the month after that, I might just use this as a reset and then continue going on my own after that with the books we are reading. But I think I need some step-by-step guidance to walk me through this approach and remind me of what it can look like. I’m Giving Away a Copy of Home Education!! I accidentally ordered two of these books, and let me tell you these are HUGE, DETAILED, full of big words, make you sit and think books. You can’t read it too fast or you’ll miss it. Every sentence seems to be a golden nugget and you need to take your time with it. I’m giving one away to you guys! Open to the US and Canada, this isn’t with a brand, it’s just me, myself and I. I’ll make a personal inscription in the front (only if you want) and mail it out personally. How is homeschooling going for you? Do you have public school expectations that are killing your homeschool effectiveness and goals? Chime in in the comments below! 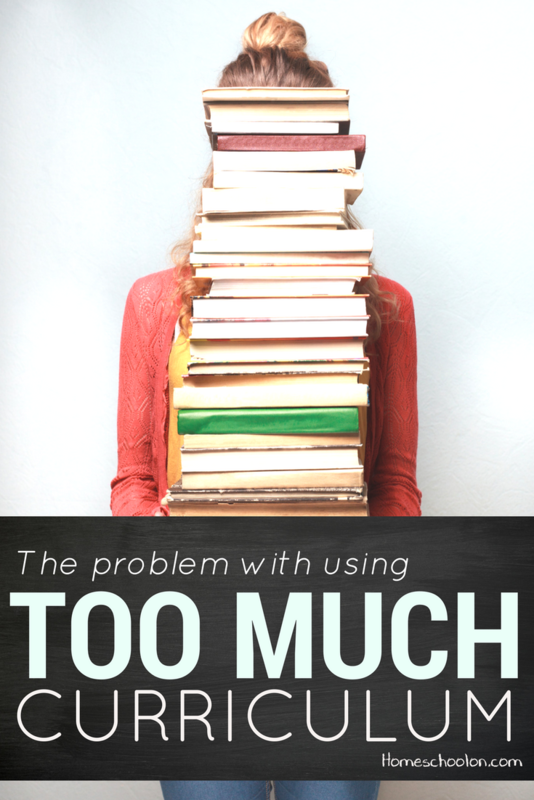 Do you think you use too much homeschool curriculum? I definitely have had curriculum overload! So many options!! So little time! OMG. I just had a melt down this morning and said 10 of your exact sentences to her. Then she sent me this link. I’m copying you and taking my friends advice. I needed this so much! My son isn’t old enough for school yet, but in all my “preresearch” I’m worried about either being too overloaded or not having enough. Thank you for your honesty! Your blog/FB presence is one I go to every day. I often feel like I am not doing enough and get overwhelmed at all the amazing choices out there. I feel it most when listening to other home school parents talk about what they are using, thinking…should I be doing that too?! This was me last year. I just stopped we did explode the code and math workbooks and read. I simplified so much and we are doing great this year. Ahh, I should have taken a week to regroup this week as well. It was SO tough! No one wanted to do their work and no one got their lists completed. We are on week 4 of school and I wanted to wait until week 6 for a break. I need to organize clothes majorly, so looking forward to that post! I find it tough to get to the ‘extra’ subjects, like art and science. I don’t go overboard with language arts, I read good books aloud a lot and work through a cpuple of workbooks. Life happens alongside schooling and after 2pm, I don’t want to be thinking about school!! I am always checking my balance to see whether I am spreading too thin a meal to be nourishing souls on or if I am so overloading our minds and hearts that we do not have time to properly digest and dwell on the ideas being laid for us in school. It is so easy to fall into one extreme or the other. Thanks for sharing how you are seeking balance! Hi there, I like to try out tons of different curriculum. I pull things from all over the place and my kids love it! They love the new-ness of it! However, i totally understand the overload later!! We do have to give ourselves a break though. Us mom’s do the most amazing job so we deserve to shut out the curriculum and enjoy the day once in a while! I hope you enjoy your last days of warmth? I am also a curriculum junkie!! I sign up for all kinds of catalogs and going to the vendor hall at conventions is like Christmas for me!! 🙂 I like what I use and it has worked for us so far, but I keep seeing new things and thinking how fun it would be. And it’s always fun to get new stuff! Last year was hard for us but this year is amazing. We are about 5 weeks in and it has been going great. I have a 7 yo daughter/2nd grade. 1: I have removed any other obligations besides homeschooling in the morning, which means I am now not rushing my daughter through her school work. Because I am not rushing, I don’t get annoyed as easily. If I’m not annnoyed, everything is better. 2: I have streamlined what we do. It took me 2 weeks to figure out our plan but it is working! We homeschool 5 days/week. 3 of those days are “long days” and 2 are “short days” because we have activities scheduled afterwards. – 1 sheet of a math workbook (French book that was a hand me down- no research in finding that one). – 10 minutes of reading in English. On long days, I read to her from books I pre-selected (geography, virtues training, history etc…) If I get to it, it’s gravy; If I don’t it doesn’t matter too much. Geography happens by grabbing the map anytime we read the name of a country or city in one of our read alouds plus a couple of apps she loves to play with. Art study happens mostly when we travel and visit museums or via read alouds. Science is via a co-op class on Mondays. Art is whenever she wants to and completely self directed. She takes martial arts classes and violin lessons (also on Mondays so that all classes are on the same day). 3: The big change for this year is our sticker chart. For every day where she completes her checklist, (homeschool +. 3 chores) she gives me a good attitude and her best effort, she gets a sticker. Every 5 stickers, she gets a new book. After 100 stickers, she’ll get a YES day (I’ll say yes to everything she asks – that is good for her- no big item purchase). She is so looking forward to her rewards, I haven’t had one day of bad attitude in the 23 days of school we’ve done so far! Granted I only have one child, so I can’t help with the added load of multiple children/levels. But I hope this method helps some of you. I only compare my daughter to herself; looking for progress. I set a couple of very clear goals at the beginning of the school year. I don’t do weekly plans (I just use the same checklist every day). I write down everything we read/do that is school related after the fact and it’s amazing how long the list is. Yes! To all of your thoughts. There are so many beautiful ideas and incredibly inspiring curriculum choices it is so hard to know where to stop and start. I definitely feel like that! I try to order books and curriculum I think would work because it’s hard to know if it “fits” us from the descriptions. Hi! I just listened to the Brave Writer podcast when you were on and it was like listening (partly) to my story! This is my first year homeschooling my children after taking them out of public school. I’m was very confident in LA myself…until I started teaching my children. My 3rd grader, who is ahead in reading and comprehension and who used to love writing in public school, suddenly is incredibly resistant to it — tears, yelling, the works. I carefully chose LA curriculum for the year but am now throwing it out the window. I discovered Brave Writer a few weeks ago and have been slowly implementing it into our day. 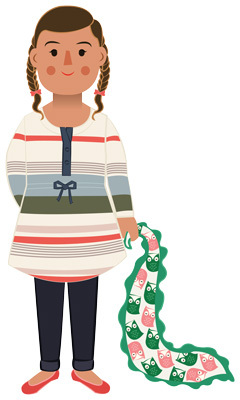 I’m also fiiguring out what our homeschool style is (as an unexpected homeschooler) and what will work for a 3rd grader, a 1st grader, a preK/K and a toddler. We just moved so I don’t have “a homeschool tribe” yet. We are military and my husband is often gone. And I’ve been on survival mode and feeling like we aren’t progressing. Contrast that with I see just how much we are learning when we learn TOGETHER through read alouds (which there are a ton of because we love them!) on any subject. However, coming up with a flow, a rhythm, and a routine along with consistency has been a challenge. I’m hopeful that a Brave Writer lifestyle will help us (me) pull it all together so we can continue to grow our family relationship as we settle into our new place. Thank you for your honest and encouragement! Couldn’t love this post more. Thank you! My son’s name is Malakai and he turns 8 on Monday :). I need more curriculum so I can have overload. Ha ha. I ,too, can feel overwhelmed with all the really amazing options out there. I keep reminding myself that I don’t want to necessarily home school if you will…. but I want to home educate. I want my kids to love learning new things and I want to spend the years they are under my roof imparting our faith as well as building Godly character. My fear is I’m doing too little! My 6 year old son resists doing anything. I’m lucky to get a 5-10 minute math lesson from Living Math in every other day. Sometimes just getting him to do that begins meltdowns and hiding under the table. The only thing he loves doing is reading…everything non fiction. “Because you learn more than just stories”. He fights doing any copy work and writing. I’m not sure of its because he’s not good at it or he thinks it’s boring. Not sure WHAT to do. There’s a book called “better late than early”. I would recommend reading that. It focuses on why it’s ok to wait until about 8 for a more formal education (especially for boys). And I say if he loves to read, let him read as much as he wants! Maybe casually leave some non fiction books around that he could spot on his own and pick up? Good luck!! Boys are a different breed lol. I’m currently experiencing curriculum overwhelm! And I’m always trying to plan 100 separate activities to occupy my energetic 4 yo. So I totally get it! I have definitely had curriculum overload!!!!! I feel so similar! LA is hard and my oldest (8yo) is the one giving me the most doubt! We just started BW this year, but like you, we haven’t really FULLY committed. I need to fully commit for a month and see how we progress. I have also looked in to Spelling you See since it does seem to line up nicely with the BW methods. We are also trying to work through Jot it Down and Quiver of Arrows this year. I am looking forward to hearing how your month goes. I think this has given me the inspiration to also commit to really diving in and doing BW consistently! I have always had curriculum overload. This is a real problem. Thanks for the giveaway! Very wonderful refreshing thing to do , hitting the reset button with a GOOD read. Charlotte Mason had a gift and shared it. I have seen SO much fruit by her methods as a mama and a teacher in our homeschool. I am a curriculum junkie. It’s the axiom of home school mothers. Veritas Press (squirrel! ), blog review (squirrel), vender hall (squirrel), emailed sale (squirrel!! ), this isn’t working out….(squirrel)! Panic, research, order, joy, pain, repeat. RE-SET. Get your focus back. It is the surest and straightest path climbing out of the curriculum pool we tread water in and sink. Focus on the core values YOU have set out for when you began this journey and let that be your compass. Read on mama, breath deep. We all go through various curriculum trials and errors. Learning to hit reset and get back on YOUR track, is a lesson worth gold to the homeschool mama. Hugs, hope that lovely book fills your cup running over! It is important to prioritize what it is that you are learning or giving to other to learn. Being swamped can definitely be an issue if you try to learn too much. Focus on what is important. Curriculum overload is something I did not want to have. A lot that is stressful in our lives is decision fatigue. On purpose I decided to pick something and we are sticking with it. When my oldest was only 3 my closest friend was schooling her children who were older than mine using My Father’s World. Once I saw that its foundation was biblical, based on a 6-day creation, and could teach multiple children at a time I never researched any other curriculum or went to a convention to be overwhelmed. Yes I’ve seen other curriculums since, and have been tempted yes, but thankfully our financial situation has not allowed me to buy really anything we didn’t need just to see or try it. I want minimalism in my life so one curriculum it is! And I also believe that gaps will happen when you jump around, but if you stick with one curriculum you will eventually get through all of their scope and sequence and will cover everything necessary. Of course, taking time after finishing each level to evaluate that they’ve learned all that was being taught before moving on.